Gallions Reach Dental Clinic Limited, share your concern about the protection of your personal information and are committed fully to compliance with the requirements of the Data Protection Act 1998, GDPR regulations 2018 and safeguarding your privacy. This document covers our policy regarding the privacy of information we collect about you, whether via our website, through our clinic or otherwise. Please read it carefully to understand how your personal information will be treated. Personal information is information that identifies a living individual. Gallions Reach Dental Clinic is committed to processing your personal information only in a fair and lawful manner. Company information identifies companies who may be a supplier of services, materials or a stakeholder. To pre-complete online form’s on our website. For example, if you have provided an address when using one service, the site computers may automatically fill in that information on another form for another service. This is simply a convenience – no information is released. As may be necessary to support the operation of our website. To provide agreed services and for invoicing, record keeping, statistical analysis and internal reporting. To obtain your feedback and views on our services. To provide you with advice, treatment and care to meet your needs and requirements. By mail, email, SMS and/or telephone (depending on your communication preferences) to inform you about practice news/ promotions and services. You can choose to opt out of receiving this information at any time by using tick boxes provided at registration. We never identify patients in research, patient feedback reports or other publically available information. When we store and transmit electronic data it is encrypted and the encryption key is kept separate from the data. Where we are supplying medical services, we may ask you to provide sensitive personal data relating to your physical condition. If so, we will ask for your explicit consent to allow us to process this data and treat it in the strictest of confidence. As a general rule, we will not otherwise disclose any personal information to any third parties, except: to any Government Department, public body or other third party where we believe in good faith that the law requires this; in the interests of public health and safety; or in order to protect the rights, property, or safety of Gallions Reach Dental Clinic Ltd, its employees or other members of the public. In addition, we will provide personal data to third parties if authorised by you to do so. We do not transfer information to companies outside the EU unless you consent to do so. We will then take the necessary security steps to secure any transfer to protect Gallions Reach Dental Clinic Ltd and your information. by using tick boxes provided on our website and communication consent forms. by clicking the unsubscribe button on any subsequent promotional email you receive from Gallions Reach Dental Clinic Ltd.
Tracking information is information that is collected about every visitor to our website, and is automatically gathered using “cookies.”. Cookies do not include personal information about you, but they are unique to each user so that the site computer can distinguish between users, and personalise your experience if you have provided information about yourself. Cookies used by us in connection with our website are encoded and contain a unique digital signature to prevent tampering. Cookies are only read by the website computer that placed them, and cannot execute any code or virus. 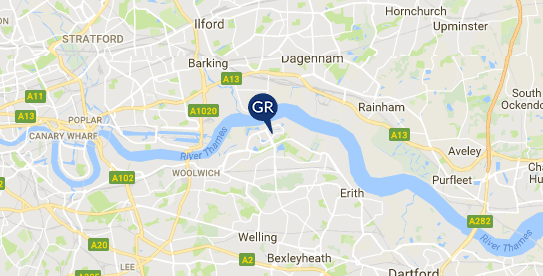 We use tracking information in aggregate form to build higher-quality, more useful services by performing statistical analyses of users’ activities, and by measuring demographics and interest regarding specific areas of the Gallions Reach Dental Clinic website. Gallions Reach Dental Clinic Ltd does not link to third party websites and will not share your information with any third party websites. Analytics – Analytics is the discovery, interpretation, and communication of meaningful patterns in data. Organizations apply analytics to business data to describe, predict, and improve business performance, for example: If you view a particular product, data is collected every time the product is viewed. This information will allow the organisation to see the popularity of the product tailoring products and services for its market. The UK Data Protection Act 1998 gives you the right to access the personal data that Gallions Reach Dental Clinic Ltd holds and processes on you. You are entitled to stop the data processing if it causes unwarranted and substantial damage or distress and to request that inaccurate / incorrect information be rectified. This privacy statement has been prepared to fulfil the obligations under Art.10 of the EC Directive 95/46/EC and under the provisions of directive 2002/58/EC as revised by Directive 2009/136/EC on the subject of Cookies. For further information regarding these rights or to make a complaint please contact our Data Protection Officer at : info@gallionsdental.co.uk if after contacting Gallions Reach Dental Clinic Ltd you are still unhappy you may also complain to the Information Commissioner, all contact details are available on the Information Commissioner’s Website: ico.org.uk.